Fun Fact: I've been to 45 of the 50 U.S. States. Fun Fact: Once the engine cut out on my plane as I taxied in front of the only airworthy B-29 at the time. Fun Fact: I have been out of the country 7 times. Fun Fact: I know how to unicycle! 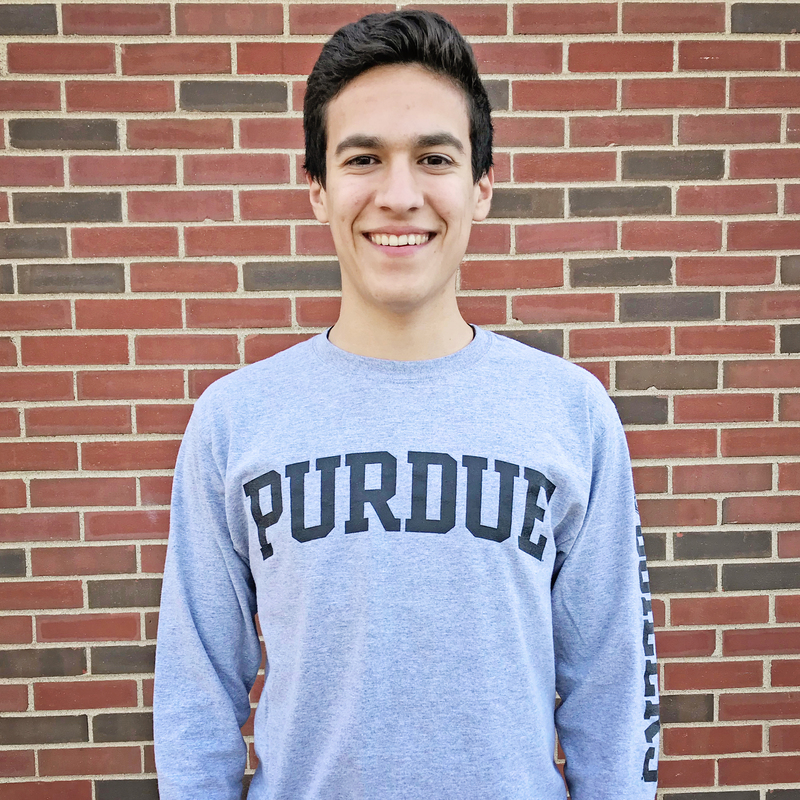 Fun Fact: I'm the 3rd generation in my family to attend Purdue! Fun Fact: I have been in the Cincinnati Reds dugout. Fun Fact: I am a huge Seattle Mariners fan. Fun Fact: I can ride a unicycle! Fun Fact: I highlighted my cat when I was 6. Fun Fact: I went to Kenya this summer! Fun Fact: My favorite article of clothing is my Marvel pajama pants. Fun Fact: My mom makes me wear a helmet during tornado warnings! Fun Fact: I have never eaten food from Taco Bell. Fun Fact: My great grandfather wa the Cuban General who won Cuba's Independence. Fun Fact: I've gotten stuck on a mountain and had to be rescued. Fun Fact: I own a pet snake. Fun Fact: I can play the guitar.